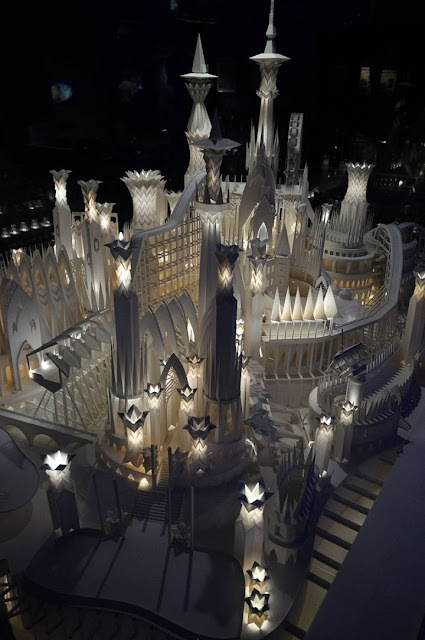 Pictures of this incredible paper castle have been circulating the internet faster than wildfire in recent days. If you haven't already seen it, you'll soon understand why it's generating so much enthusiasm. 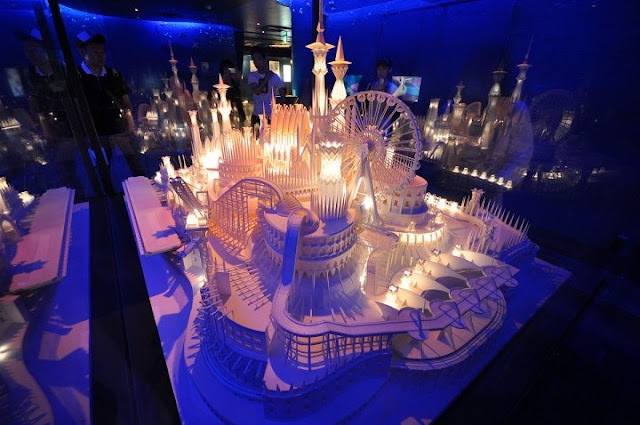 Such amazing detail; it has spires, a roller coaster, and a moving train - all made of paper. Wataru Itou, an art student in Tokyo, created it by hand over a four year period. Rightfully titled A Castle On the Ocean, it's currently on exhibit at Umihotaru, a most unusual place - artificial island/parking lot/service area - located literally on the ocean between Tokyo City and Chiba Prefecture. Read about the paper castle and Umihotaru, as well as see many more beautiful photos on the fascinating blog, Tokyobling. I hadn't seen it before either - so thank you so much for featuring it. Simply amazing! Wow! That is one of the coolest things I've ever seen. Thanks for sharing.